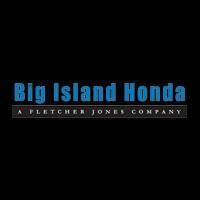 Big Island Honda has recently experienced some major growth! With all growth, comes the need for support, so we have expanded our family with associates who exhibit motivation, enthusiasm, and a belief in luxury client service that contributes to the Fletcher Jones Difference. Big Island Honda is a small, but fast growing business putting its stamp on the island by helping transform the local automobile industry. To do this, our team members believe that a guest’s experience is the number one priority. Our mission is to deliver a world class guest experience through the pursuit of excellence by treating every person who walks through the door like a VIP. When you visit our dealership, you will be greeted with a smile and guided through every step of your experience. Our team is very knowledgeable and goes through extensive training to ensure that when you ask a question they know the answer, and if they don’t, they will know where to find it. We are constantly working to ensure that our guests have the best experience possible. Could you see yourself here? If so, we’d love to hear from you! Whether you are in the market for a new Honda, service for your current Honda, or simply looking to join a winning team, we hope that you will stop by soon. 0 comment(s) so far on Join Our Winning Team!